Talia Al Ghul Joins Batman’s Femme Fatales! Batman’s femme fatales are numerous, but none are more fatal than Talia Al Ghul! A member of the Society of Shadows, Talia Al Ghul captured Batman’s heart when she appeared in Batman: The Animated Series, even as his mind told him to resist. Now, Batman’s forbidden love is the newest Femme Fatale PVC statue in the DC Animated line, and she’s exclusively at Entertainment Earth! In Batman: The Animated Series, Talia Al Ghul is the only daughter of Ra’s Al Ghul, the leader of the organization of assassins known as the Society of Shadows. A highly trained operative and her father’s primary emissary in most affairs, Talia al Ghul first met Batman on a mission to Gotham City, where the two developed strong feelings for each other. These feelings were encouraged by Ra’s, who sought a successor in the Dark Knight, but they were denied by Batman, who could not fully commit to a woman with ties to such an amoral organization. 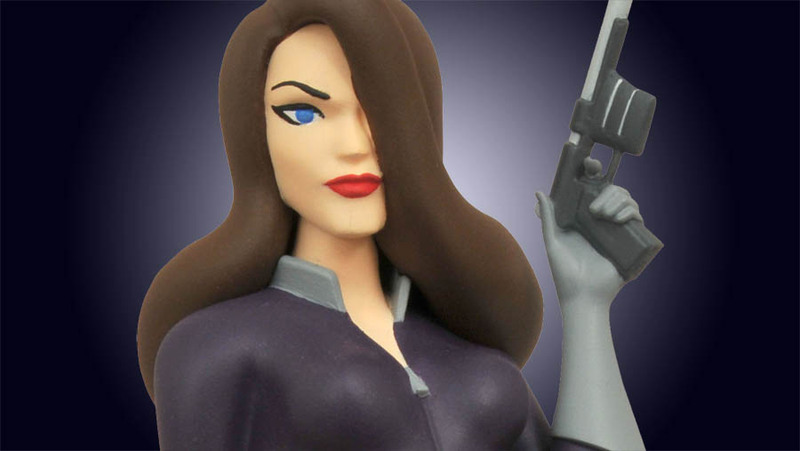 This approximately 9-inch rendition of Talia Al Ghul was sculpted by Varner Studios based on her appearance in Batman: The Animated Series. It is constructed of high-grade vinyl and features a high level of detail and an exacting paint process, packaged inside a full-color window box suitable for display. Exclusively available through EntertainmentEarth.com, she is in-scale to other Femme Fatales statues, including DC Animated universe versions of Batgirl, Catwoman, Harley Quinn, Poison Ivy, Supergirl, Hawkgirl and Wonder Woman. Pre-order today for delivery this fall! 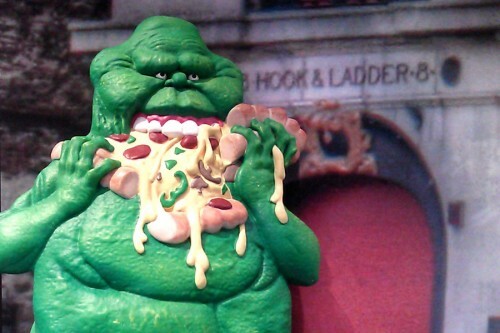 Next Up: On Sale This Week: Hack/Slash, Slimer and PvZ: Garden Warfare! The First Star Trek Femme Fatales Statue Has Begun Her Voyage!